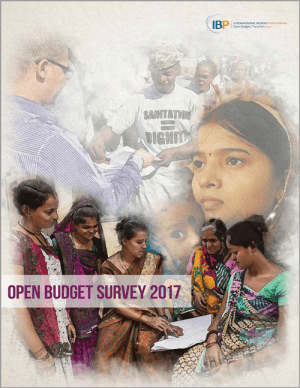 On 30 January 2018 the International Budget Partnership (IBP) will release the Open Budget Survey 2017 (OBS). The OBS is unsurpassed as a “one stop shop” for information on the state of budget transparency and the ability of citizens to participate in shaping the decisions how public resources are raised and spent. In addition to assessing the state of transparency for traditional “on budget” spending, the OBS monitors the extent to which governments report on hidden spending that occurs through the tax code. This hidden spending – tax credits, deductions, and other preferences – reduce the amount of revenue that is collected by providing special treatment to a particular class of individual, type of income, industry, or activity. 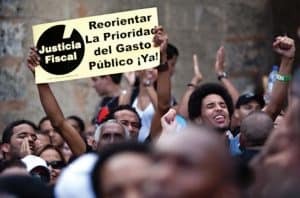 Economists call this type of special treatment provided through the tax code a tax expenditure to make the point that the economic impact of tax expenditures – the transfer of public resources for a particular activity or purpose – is conceptually equivalent to that of direct government spending. In the last OBS, slightly less than half (47) of the 102 countries surveyed met even the most minimal threshold for tax expenditure reporting by publishing the policy rationale, intended beneficiaries, and estimate of the amount of foregone revenue for special preferences granted through the tax code. Only 13 of the countries in the OBS 2015 published all of the core information for all of the country’s tax expenditures. Why does this matter? In many parts of the world, tax expenditures account for a large fraction of the resources allocated through public decision making, significantly reducing the revenues available for programmatic spending. Nine Latin American members of IBP’s network of civil society partners came together in a collaborative research project and discovered that the cost of tax expenditures totals one-quarter or more of actual revenue collections in many countries in the region. Moreover, because many of the costliest preferences provide disproportionate benefits to high-income individuals, tax expenditures serve to increase inequality, while reducing the public resources that could otherwise be used to foster equity and inclusion. For the nine members of the collaborative research project on tax expenditures in Latin America, the OBS provides a starting point – by identifying whether a country publishes information on tax expenditures and, if it does, the completeness of that information – as well as a measuring stick to assess the project’s long-term success in shedding additional light on special tax preferences. While the level of tax expenditure transparency in Latin America generally surpasses that in other parts of the world, in part due to the work of the Inter-American Center of Tax Administrations in promoting best practices, participants in the collaborative project all identified the need for more comprehensive information on tax expenditures and, in particular, the lack of information on the impact and effectiveness of existing tax preferences, as priority advocacy goals. In Mexico Fundar used tax expenditure reports supplemented by information gained through access to information requests to document the overwhelming concentration of “fiscal privileges” among a small handful of taxpayers. Based on their research, Fundar developed an advocacy agenda calling for greater transparency and reform. The Instituto de Estudos Socioeconmicos (Institute for Social and Economic Studies, or INESC) examined Brazil’s tax expenditure reports and learned that the cost of special tax preferences rose from 16 percent of total revenues in 2011 to 22 percent in 2014. INESC is now using the large and rising cost of special tax provisions to call for increased scrutiny and for reform as an alternative to proposed reductions in social spending. The need for timely, accessible information on tax expenditures is critical as countries around the world seek to strengthen domestic tax systems to meet the challenges of the Sustainable Development Goals and the need for domestic resources. The OBS 2017 will provide an important indication of how governments are responding to this challenge and whether budget experts within governments and civil society will have the information they need to be informed participants in critical policy debates. Research products and other resources developed through the collaborative research project on tax expenditures in Latin America will be released in early 2018. Be sure to see the results at www.openbudgetsurvey.org on 30 January 2018!